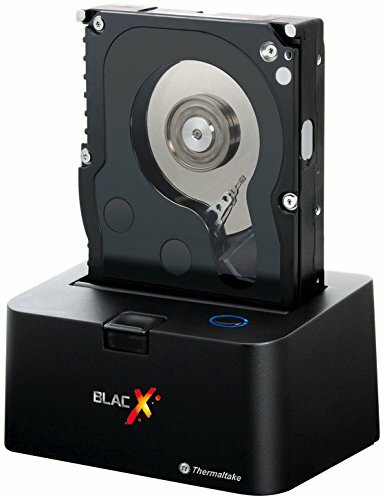 If you’re looking to do some major computer repairs, a hard drive docking station might be a better choice than the standard external hard drive. The reason for this is that you can put a normal HDD in the docking station without having to use an adaptor. This prevents you from having to build the HDD into the computer. That being said, the docking station and regular hard drive are quite similar in purpose and function. The station also allows you to dock multiple internal HDDs using only one SATA or USB. There are tons of docking stations on the market, and not all are created equal in terms of price and performance. With a little research and exploration you can find the docking station that is right for you and your project. Asking the local electronics wiz at your computer store always breeds good results. The Plugable hard drive docking station is compatible with both USB 3.0 and 2.0, and both of these wires are included with your purchase. You’re getting the latest firmware with SCSI, and this ensures that the performance of the station is going to be top notch. All you do is simply connect a 3.5″ or 2.5″ SATA drive to receive fast SuperSpeed USB transfer rates. When using the USB 3.0 you’re getting speeds that are almost 10x faster than with the USB 2.0 connection. Please note that this is also backward compatible with the old USB 1.1. But it’s highly recommended that you go with the 3.0 to reach speeds from 500Mbps to 2Gbps. The incredibly simple SATA dock drive is very easy to use and quite user friendly. The lightweight designs makes it easy to carry around, should you need to. 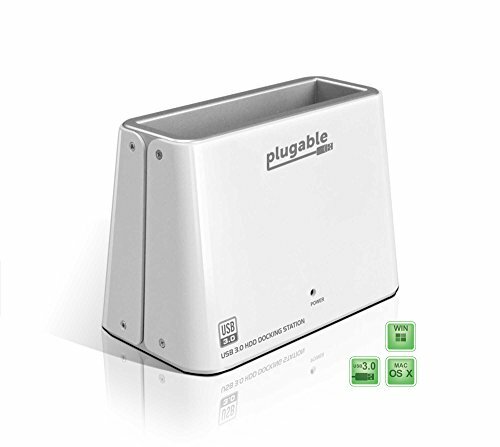 All in all, the device gets good airflow to prevent overheating, and the Plugable is compatible with Mac or PC. The patented design of the Thermaltake docking station makes it one of the best performers out there. It works with 2.5″ or 3.5″ SATA HDD. The compact station stores up to 2 TB. The impressive eSATA transfer speed can get up to 3Gbps, and works pretty great with any Mac or PC. The reason why the design is so innovative here is because the compact station is built for heat dissipation and exhaust. In the box, you get your docking station, power adapter, USB 2.0 cable and eSATA cable; pretty much everything you need to get this puppy working. The sleek design is pleasing to the eye, and the user friendly construction make this station a hit. The price is quite reasonable as well, if you’re looking to stay on a budget. For the most part, the Thermaltake performs on par with the best docking stations you can find on the market. 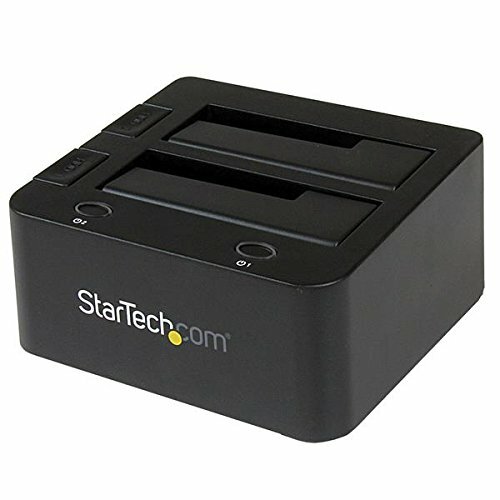 This dual drive from StarTech provides the standard benefits of a hard drive docking station with a few extra perks. It’s compatible with all 2.5″ and 3.5″ SATA HDDs, as well as solid state drives via USB or eSATA. All of this can be done with much ease, and the user will never have to open a computer case or mount hard drives to do it. Simply connect the dual drive to your computer with the USB. Then you can insert the SATA drives for instant access. The ease of this process is what makes this a very desirable docking station, as well as its pleasant design and durability. That being said, there are some complexities that come with using an external docking station for the first time, and the handy instruction manual can be of great benefit. There’s also plenty of information online about how to perform these functions. However, once you get the hang of it, using this station is a breeze.